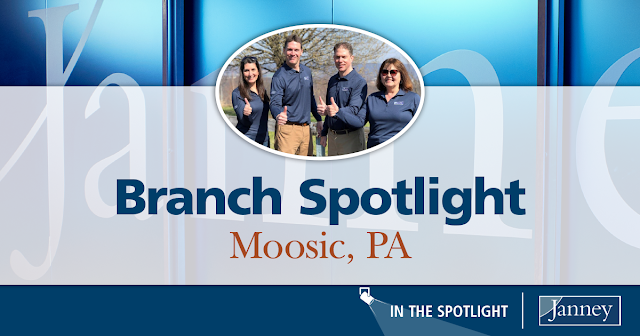 When it comes to client service, community engagement, and building a regional brand, Janney’s Moosic, PA branch office embodies the forward-thinking mind-set and client-centric approach that it takes to stand out and be successful. Ryan, who has over 18 years of experience in the industry and nine with Janney, has taken full advantage of the resources the firm offers to help advisors build their own personal brand identity. From monthly educational “Lunch N Learn” workshops and annual client appreciation events, to community sponsorships and an active social media presence, Ryan and his team go above and beyond to demonstrate their value and remain top of mind among clients. Their efforts have paid off – well-attended events have yielded positive reactions and generated a constant flow of referrals from clients. 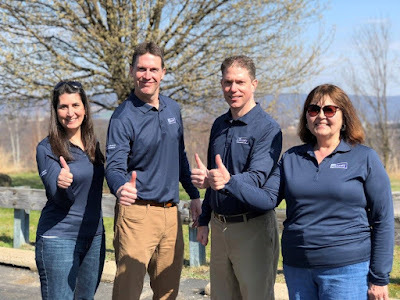 Renee Rinaldi, Senior Registered Private Client Associate; Ryan Wilson, Senior Vice President/Wealth Management; Paul Grippi, Registered Private Client Associate; and Eve Hughes, Private Client Associate, at the second annual Earth Day Shredding Picnic. A great example is the annual Earth Day Shredding Picnic, where clients and guests were invited to bring tax and confidential documents to the Moosic office for secure and environmentally friendly shredding. In keeping with the shredding theme, guests were served shredded pork and chicken while they enjoyed live musical entertainment. Last year’s event earned the office a Certificate of Environmental Impact for saving 42 trees, 994 reams of paper, and 10,000 kw/hr of electricity. This year’s event, which was held on April 28, was even more successful, with one client alone bringing decades of files for shredding. 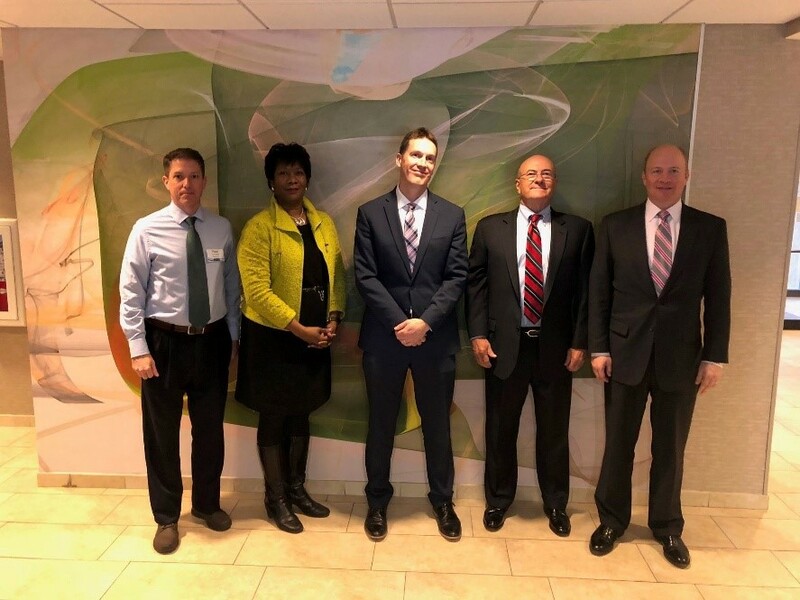 Janney’s Paul Grippi, Wanda Sirko, Ryan Wilson, and Rick Roberts with Jonathan Murr of Global Atlantic, the featured speaker at the April “Lunch N Learn” on Long Term Care Planning. For the Wilson Wealth Advisory Group, events are used as a way to demonstrate how the firm’s expertise are a valuable resource to clients and the local community. In October 2017, the team launched its “Lunch N Learn” Workshops, a monthly series of informative seminars for clients and friends of the firm. The topics of each seminar were chosen based on feedback gathered from a questionnaire sent to clients that asked them what topics mattered to them the most. Outside speakers were identified and reserved to speak on the selected topics, which included identity theft, estate-planning, actions when death occurs, tax advantaged investing, and long-term care planning. 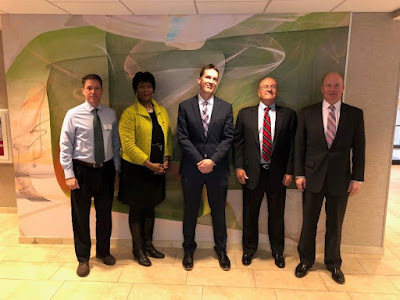 The guest speakers have included a Secret Service agent, estate-planning attorneys, retirement and insurance experts, and Janney’s own Senior Estate Planner, Mike Repak. The events have been a huge success, with each seminar averaging 25-30 attendees and an increased number of referrals from clients. The Wilson Wealth Advisory Group’s success has even been an example to other advisors at Janney. At the firm’s 2018 Elite Conference in January, Ryan was asked to speak on the “By FAs, For FAs: What We Do to Crush It” panel, where he shared his financial advising strategies and success stories with the audience. His ability to effectively market his unique value proposition and connect with clients digitally has also been used as a case study at Janney’s “Practice of the Future” regional workshops, which emphasize the importance of being forward-thinking and adapting to new technology and client expectations in an ever-changing financial landscape. Ryan Wilson repelling from the Bank Towers in downtown Scranton for NeighborWorks Northeastern Pennsylvania’s "Over the Edge Scranton" event. Giving back to the community is also important to the Moosic branch office. 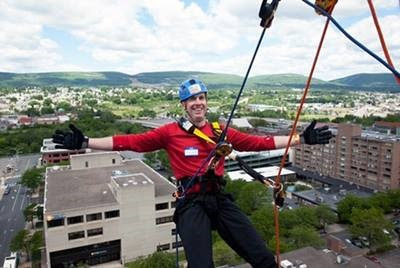 Last year, Ryan participated in the NeighborWorks Northeastern Pennsylvania "Over The Edge Scranton" event, which raises funds to provide services that promote affordable housing and home ownership throughout the Northeast Pennsylvania region. The Wilson Wealth Advisory Group also selects a charity to benefit each year as part of its annual client appreciation event. Ahead of last year’s event, which benefitted the Boys and Girls Club of Northeastern Pennsylvania, they informed clients that a $10 donation would be made to the organization on behalf of each person who attended.